Back in 1984, the Friday the 13th franchise marked its fourth film as The Final Chapter. The series then proceeded to release seven more sequels as well as a 2009 reboot. Back in 2010, the Saw franchise marked its seventh film as The Final Chapter. After a movie a year from 2004 to 2010, it took seven years for a return, but 2017’s Jigsaw reminded us that the horror universe doesn’t respect the concept of a “final chapter”. In prior years, John “Jigsaw” Kramer staged multiple sadistic murders. However, he eventually died and this series of crimes came to an end. Until now, that is, as slayings that feature the Jigsaw MO start to occur. 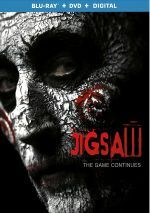 This leads police to pursue the culprit – and to question if Jigsaw himself somehow returned from the dead. After the franchise peaked with the $87 million of 2005’s Saw II, box office revenues gradually declined to a low of $27 million with 2009’s Saw VI. 2010’s Final Chapter enjoyed a moderate rebound via its $45 million, but that still showed a real drop from the series’ highs. With a mediocre $38 million in the US, Jigsaw didn’t soar. However, with a low $10 million budget, it easily turned a profit – especially when we see that its worldwide total passed the $100 million mark - so expect a Jigsaw 2 at some point. Despite the longevity of the franchise, Jigsaw marked my first direct experience with the Saw universe. Of course, I knew of the films and their themes, but I’d never actually watched one until now. Does Jigsaw entice me to go back and fill in those cinematic gaps? Yes and no. Why yes? Because the Saw series proved successful enough to spawn eight films to date – that must mean it boasts some positives, I would think, and I’d be curious to see how the story played out in the earlier episodes. Why no? Because Jigsaw offers such a thin, pointless experience that it never prompts me to think its siblings will fare any better. Jigsaw provides exactly what I would’ve expected from the Saw films: lots of gore, little story. Sure, we get the police investigation as well as the prospective victims’ attempts to survive. However, those narrative threads act as thin gruel, mainly because Jigsaw fails to explore then in a satisfying way. The cop side of matters embraces one cliché after another, and the victims turn into a trite gang of horror stereotypes as well. This means we get a half-hearted attempt at story and character, one that doesn’t truly care about either side of the film. Maybe earlier Saw films tried harder to deliver real narrative exploration, but Jigsaw doesn’t appear to feel a need to bother. Sure, Jigsaw vaguely nods in the direction of cleverness, mainly via the riddles the victims need to decode. However, these remain lackluster at best and do little more than act as tedious stabs at tension. Maybe gore fans will like Jigsaw, as it provides the requisite nastiness. 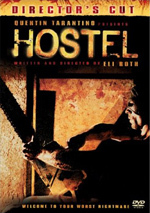 Otherwise, this becomes a dull, lazy attempt at horror that lacks any real reason to exist. Jigsaw appears in an aspect ratio of approximately 2.40:1 on this Blu-ray Disc. The transfer presented the film in an appealing manner. Sharpness looked good. A smidgen of softness hit some wider shots, but those instances remained insubstantial, so the majority of the flick showed fine clarity and accuracy. Jaggies and shimmering failed to distract, and edge haloes remained absent. The movie also lacked any source flaws and was consistently clean. In terms of colors, Jigsaw went with standard orange and teal most of the time. The hues never stood out as memorable, but they were fine for this story’s choices. Blacks were pretty deep, and shadows were well-depicted – an important factor given the potentially murky interior settings. The image offered a “B+” presentation. As for the movie’s DTS-HD MA 5.1 soundtrack, it lacked a ton of ambition, though I didn’t view that as a flaw. A story like this came heavy on ambience and light on opportunities for fireworks, so the absence of showy sequences failed to become a problem. When the action heated up, however, the mix reflected that and used the spectrum well. Music filled the various channels in a satisfying manner, and effects fleshed out the spectrum in a logical way. Nothing dazzled but the mix seemed suitable for the material. Audio quality pleased. Speech was concise and natural, while effects remained accurate and full-bodied. Music was vibrant and dynamic. While this was never an especially memorable track, it worked for the story. A few extras appear here, and we start with an audio commentary from producers Mark Burg, Oren Koules and Peter Block. All three sit together for a running, screen-specific look at story/characters, sets and locations, cast and performances, effects, music and connected domains. All three producers manage to seem enthusiastic in this lively chat. They cover the film – and the franchise – in a fairly rich manner that gives us a good examination of the topics. Expect a solid commentary here. A seven-part documentary called I Speak For the Dead: The Legacy of Jigsaw runs a total of one hour, 21 minutes, 56 seconds. It provides remarks from Koules, Block, executive producer Daniel Jason Heffner, screenwriters Peter Goldfinger and Josh Stolberg, directors Peter and Michael Spierig, director of photography Ben Nott, production designer Anthony Cowley, makeup department head Rose-Mary Holosko, composer Charlie Clouser, and actors Tobin Bell, Hannah Emily Anderson, Cle Bennett, Callum Keith Rennie, Laura Vandervoort, Matt Passmore, Paul Braunstein and Mandela Van Peebles. “Speak” looks at the film’s origins and development, story/characters, the directors’ approach to the material, cast and performances. It also views “kill scenes” and various effects, visual design and cinematography, sets and locations, music, and the series’ legacy. With so much time at its disposal, I expect a deep dig from “Speak”, and parts of it work well, which means we learn a fair amount about the production. However, it leans too hard toward the happy talk side of the street, so it doesn’t become as meaty as I’d like. The Choice Is Yours: Exploring the Props lasts six minutes, 27 seconds and offers notes from property master Rick Little Darling. He takes us on a tour of the prop room to show us a variety of pieces. Little Darling offers a decent overview. 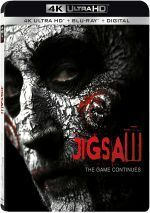 The disc opens with ads for the Saw series on Blu-ray, Leatherface, Friend Request, and 31. No trailer for Jigsaw appears here. The package includes a second disc that provides a DVD copy. It features the commentary and “Choice” but lacks “I Speak for the Dead”. As the eighth film in the Saw series, Jigsaw runs on fumes. Heavy on mindless gore and light on actual scares or memorable material, the movie feels like nothing more than repetitive cinematic product. The Blu-ray delivers positive picture and audio along with some useful supplements. Jigsaw extends the franchise on a sour note.